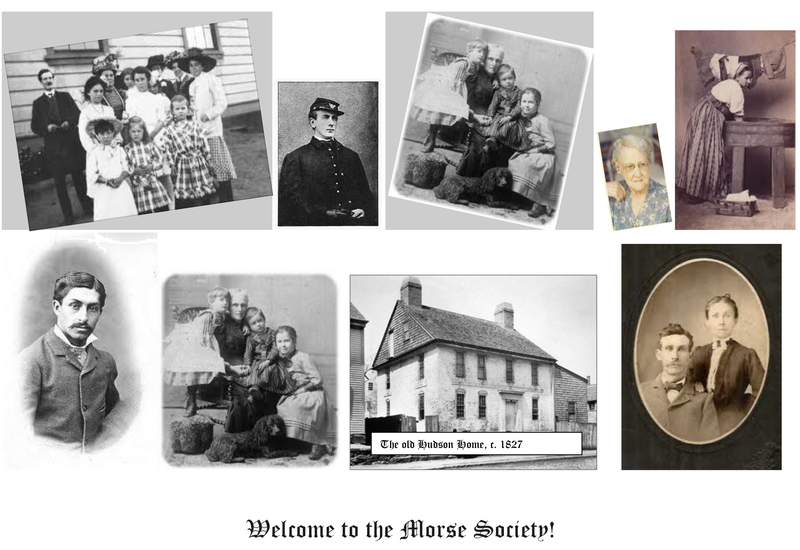 You have arrived at the official Morse Society website, dedicated to families named Morse, Mors, Moss and variant spellings. Here, you’ll find an ever-growing source of genealogical data about your ancestors, their lives and times. Much interesting information about the Morses and related families is available for the casual visitor and a larger and much richer trove of data, dates and genealogical material can be accessed by our members. An online vote was held in December 2018 to determine whether a transitional board should review the society's structure and update the bylaws to better fit the organization's current operational environment. Votes unanimously supported the proposal, so the transitional board listed below will serve until December 31, 2020. Upon concluding their work to update the society's organizational structure, members will be asked to review and approve the changes. If additional board members are advised, these positions will be filled at that time. Congratulations to our dedicated leaders, and thank you for your efforts on behalf of The Morse Society! As our our President since 2009, Marcia has maintained a primary focus to keep the society on solid operational and financial footing. 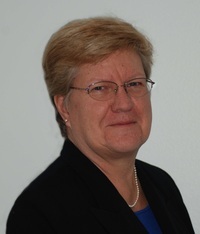 In addition to handling administrative duties as President, she manages our website, attracts new members with our Facebook page, and conducts research into the William Morse and Samuel Morse lines. By day, she manages the corporate offices of two large firms in the property management and self-storage industries. She also finds time to create high-quality Nantucket lightship baskets and sculptural forms from hand-pounded black ash that she harvests in the Upper Peninsula of Michigan. 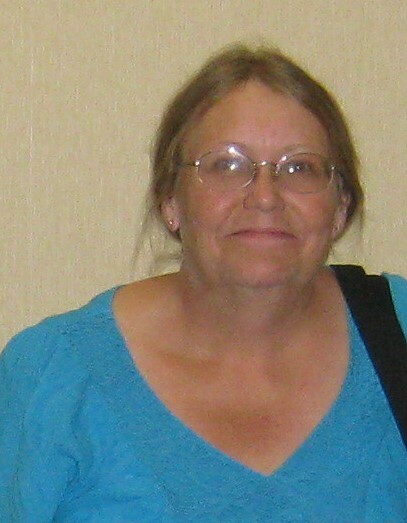 Marcia lives in Lakeland, Florida with her husband Tracy and daughter Megan, and is a descendant of William Morse. Rick has been a member of our board for six years, first as an At-Large Director and then as Vice President. An Ordained Minister with Christian Church (Disciples of Christ), Rick works on their national staff as a consultant who guides initiatives related to ministry planning in new and established congregations. He has 39 years of experience in nonprofit work, serving on the boards of some 25 nonprofits and administering the start of over 700 new congregations. Rick holds an MDiv and Doctorate of Ministry from San Francisco Theological Seminary and a B.A. from Whitworth College. His work requires quite a bit of travel, which provides rich opportunities for first-hand genealogical research around the country and overseas. 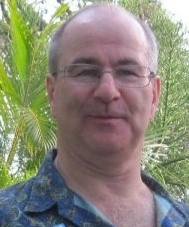 Rick is a published author with interest in improving the Society’s published works. Rick and his wife Cecilia live in Indianapolis, and he is a descendant of Anthony Morse. Another dedicated Morse Society volunteer, Dave was our Vice President for 18 months and has been our Treasurer for 6 years. Dave was born and raised in West Springfield, MA and served in the U.S. Air Force. He holds a B.S. in Political Science from Amherst College and is a veteran of the employee benefits industry. He was instrumental in moving the society’s financial resources into more secure banking institutions, he advocated moving our bookkeeping system from a handwritten ledger to QuickBooks, and he keeps a keen eye on maintaining the society’s strong financial position. Dave’s primary genealogy research interest is locating a birth record for John Moss in England, which he and Carl Morse have been seeking for years. Dave and his wife Cheryl live in Walnut Creek, CA, and he is a descendant of John Moss. As our Secretary for the past eight years, Tracy is often the first person that new members communicate with about their Morse/Moss line. A native of Canada, Tracy spent much of his childhood exploring the bush. He holds a Master of Science in Geography/Urban Planning and is Senior Parks Planner for Polk County, Florida. Tracy is recipient of the Duke of Edinburgh’s Award at the Gold Level and served on the Canadian staff for HRH Prince Philip, Duke of Edinburgh. He was a member of the Sir Alexander MacKenzie Canada Sea-to-Sea Expeditions team, paddling historic 32-ft canoes for 2,300 miles along MacKenzie’s historic route from Alberta down the Mackenzie River and into the Arctic Ocean. Tracy’s family comes from Irish orphan stock on his father’s side and from the Isle of Man on his mother’s side. 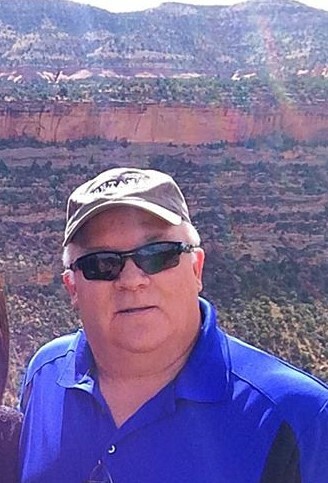 A native of Montana, Joe has served on our board for two years and is also the Line Shepherd for the Joseph Morse line. He is the Finance and Human Resource Specialist for Stillwater, Montana. Raised on his family’s ranch in the foothills of Montana’s Crazy Mountains, he attended a rural two room school, was a varsity basketball and football player throughout high school, and won a full college scholarship. A veteran of the US Army, Joe served as flight operations specialist for 7½ years and graduated from Embry Riddle Aeronautical College with a degree in Aviation Business Administration. Joe is Chairman of the Columbus School Board in Columbus, MT, where he and his wife Mina live. Over the years, Lisa has served The Morse Society in several capacities, with her main focus being the Research Team. In addition to keeping our Line Shepherds moving forward, she personally handles the Anthony Morse line as well as the John Moss line. She also served as President for two years, so she has a deep understanding of the society's inner workings. Further highlighting Lisa's dedication to the society is the fact that she works full time for the local school district and is Store Manager for the NH Farm Village. She lives in Milton, NH with her husband Noel (the society's former webmaster) and is a descendant of Anthony Morse. John Vinnicum Morse (1853-1912) was an uncle to Lizzie and Emma Borden and was brother of the girls’ biological mother, Sarah Morse Borden. Sarah died in 1863 before Lizzie had reached her third birthday. Andrew’s second wife, Abby Durfee Gray Borden, was related to the prominent and wealthy Durfee family of Fall River. Acquaintances and family members noted a number of similarities between John and his brother-in-law Andrew Borden. Both were tall, thin and described as stern and dour in their manner. In fact, John lived for an entire year with Sarah and Andrew Borden at their large Victorian home on Second Street in Fall River. In 1890, John moved back to Warren, Rhode Island with his uncle Charles Morse; and from there to South Dartmouth where he was living at the time of the Borden murders. The literature and reporting related to the Borden murders makes much out of John’s visit the day before the murders. He was said to arrive mysteriously with no explanation and just the suit on his back. However, John visited with the Bordens frequently in the two years leading up to the murders and it was not uncommon for him to show up for unplanned overnight visits. He was a short train ride away, and didn’t always send word ahead when he came to see Andrew. John also kept up a correspondence with Lizzie’s older sister, Emma, although his contact with Lizzie seemed comparatively distant. A week before the tragedy, Andrew had been in contact with John about a man who qualified to manage the family’s Swansea farm. Andrew insisted that John come talk to him in person, and, on the afternoon of August 3rd, 1892, John arrived without luggage or a change of clothes at the Borden home. His arrival occurred just as the couple was finishing their dinner. There is no reason to doubt that the two men just wanted to catch up on business. At the trial in 1893, John even produced, on the witness stand, Andrew’s letter that had called him to Fall River, a document that was promptly appropriated by District Attorney Knowlton, causing it to effectively disappear from history. John had also wanted to do some oxen trading in Swansea and Andrew had asked him to fetch some eggs from their farm while he was over there. He warmly invited his brother-in-law back for supper. John declined, hoping to catch his evening meal with another relative in Swansea. He hurried to Kirby’s stables and went about his business across the river, returning around 8:45 in the evening, just as Andrew was settling down with his newspapers in the sitting room. As the two men talked, Lizzie Borden returned from a visit her friend Alice Russell, but they did not see her come in, instead just hearing the door close and footsteps race up the stairs in a retreat to Lizzie’s bedroom. The two men continued their conversation, and there has been speculation that Lizzie, whose room was just over the sitting-room, could have heard their talk through the open windows. This speculation has led some to theorize that Lizzie thus heard some secret business to which she was not supposed to be privy, and which provoked in her a murderous rage that led to a pre-meditated act of violence. If such was the case, she may not have heard any conversation of great consequence, but could have misinterpreted or exaggerated the importance of some business matters between Andrew and John. Either way, by 10 o’clock p.m., the two men had retired to their respective bedrooms with John settling down in the guest room in the northwest corner of the house. This room was the same room in which Abby was to be found slaughtered the next afternoon. By all accounts, John V. Morse was the first to awaken on the morning of August 4th, coming down to the dining room at 6 a.m., before the appearance of even the maid. Shortly after 7 o’clock, he was having breakfast with Andrew and Abby before leaving to visit his niece and nephew, the children of his brother William, who coincidentally were visiting from Minnesota. That visit provided him with an airtight alibi, since the visit occurred during the time Andrew and Abby’s murders took place. John arrived back at Second Street around noon by street car. By the time John had left the Emery house at 11:20 a.m. to return to Andrew’s for dinner, the bodies of Abby and Andrew were already being examined by the first policemen to arrive at the crime scene. What transpired when John arrived at the Borden house has been the subject of much debate. There were several dozen people gathered in the street, having heard that a murder had occurred, and that a Mr. Sawyer was on guard duty at the side door. John, claiming that he did not witness anything unusual about the house, strolled into the backyard and plucked some pears from the arbor, returning casually to the side-door while he munched on the fruit. It was only when he talked to Mr. Sawyer and the maid Bridget, who was huddled on the stairs just inside the door, that he registered recognition of anything out of the ordinary. He was shown the bodies, and subsequently aided the police in their search of the house. He even speculated with a police officer over whether the killer had hid himself in the house the evening before, and raised the memory of an old unsolved murder. In light of John’s “mysterious” appearance at the house the day before; the apparent conspiratorial nature of his business talks with Andrew; his personal habit of wearing the samesuit two days in a row; his background as a trained butcher; and his casual stroll to the pear tree while the house crawled with on-lookers and policemen, there was much to fire the public imagination and cast some suspicion on John V. Morse. Did he know more than he said? Was his visit to the Emery house merely a convenient alibi that also enabled the killer to do his business without interference? Was he in collusion with Lizzie, or with both sisters simultaneously, in a plot to eliminate the Bordens? Was he, as some have suggested, in communication with an illegitimate son of Andrew’s? There was even a rumor started that he spent the night of the murders sleeping in the guest room where Abby’s blood still stained the floor, contributing to his image as a ghoulish fiend. Much of the suspicious discussion about John V. Morse unexpectedly visiting at the Borden house, of his late-night discussion with Andrew, of his “perfect” alibi (it is said he even had memorized the number of the street car he took from Weybosset Street), has been sensational and speculative, and the attendant facts have been repeatedly dissected and analyzed from every angle; but in fact John’s story did check out. His account of his activities on both Wednesday and Thursday was thoroughly consistent with his statements made to the police, during his newspaper interviews, and during his remarks at the inquest, the preliminary hearing and the trial itself. John V. Morse, despite his personal peculiarities, his Western ways, his strict business manner and his general dour appearance, seemed like a straight shooter who just happened to be at the wrong place at the wrong time. He returned to Fall River in June of 1893 to testify at the trial, but then withdrew to Hasting, Iowa, where he died in 1912. Lizzie Borden was acquitted of all charges against her and the murderer of Andrew and Abby remains unknown to this day. Sir Jeremy Morse, a Life Member of The Morse Society, passed away on 4 Feb 2016. He was 87 years of age. Jeremy made his home in London and Gloucestershire, and was a strong supporter and contributor to the society. Long-time members may recall his excellent article entitled, "The Morse Name", published in our Fall 2007 newsletter. Those who participated in Carl S. Morse's 10-day tour of Morse-related England (May 2010) will remember Jeremy's welcome, his arranging for us to visit the homes of two of his Morse cousins, the afternoon tea in our honor at his and his wife Belinda's country home, and the magnificent farewell dinner at the New Globe Theatre. Less well known is Jeremy's research to help our European Researcher identify some 250 individual English Morse wills and compile 16 English Morse line trees with supporting notes. Jeremy was born on 10 Dec 1928. He was educated at West Downs School, Winchester College, and New College, Oxford. He followed a career in banking that began at Child & Co (London's oldest bank) and went on to be the chairman of Lloyd's Bank (1977-1993). Jeremy served on the Bank of England board and was the first chairman of the International Monetary Fund's Committee of Twenty. He was knighted in 1975 (KCMG) "for services to the reform of the international monetary system." Jeremy was Warden of Winchester College, the Chancellor of Bristol University, and an honorary fellow of New College. He was a renowned crossword compiler, an international chess judge, and inspiration for the name of Colin Dexter's fictional detective, Inspector Morse. In 1955, he married Belinda Mills. They had three sons and two daughters, one of whom died young. A benefit of membership in The Morse society is full access to the society's online library. We are continually adding articles, research tips, finding aids and more, plus we are extracting key articles from over 40 years of producing a quarterly newsletter. Click here for an index listing articles currently available in our library, current as of 30 May 2015. Information amassed by our dedicated researchers can be yours - as a member - for the surprisingly low cost of $20.00 per year (slightly more in Canada and overseas). All new members begin by completing a genealogy worksheet to outline the information that they have already identified about their Morse/Moss line. Our Research Team reviews the worksheet and try to connect the new member to one of our identified lines. If your line can be easily identified, a member of our Research Team will provide your Ancestry Report containing the vital statistics and personal information that we have on each generation of your direct line. If your line cannot be readily established, we will make suggestions for where you might look for additional details, and we will do what we can to help you break through your brick wall. An online library containing articles about the first Morses to arrive on our shores, life stores of well-known descendants, military listings of Morses who served in various wars, and more. A surname research index which identifies the individuals, time periods, and geographic locations that other Morse Society members are researching. Perhaps you will find someone else who is working on the same brick wall! A member roster for cross-referencing with the surname research index. A library of rercent Morse/Moss deaths and obituaries. A photo gallery showing some key Morse/Moss locations and society members in action. Information on society operations and key governance documents. Because we are a small society, we do not provide extensive online databases like those found on Ancestry and other research websites. In the seventeenth century, witches were believed to make a compact with the Devil to torment the godly. As agents of the Devil, they caused dissention in a town, a church or between neighbors, and in some cases witches were believed to cause sickness or death in people or their livestock. It is no coincidence that Elizabeth Morse was a midwife, and a successful one at that. Morses. Powell blamed the enchantment on the Morses’ grandson, John Stiles; the sailor was convinced that the haunting was orchestrated by him. However, after the sailor’s acquittal an air of suspicion began to surround Elizabeth Morse as the people of Newbury continued to seek the person responsible for instigating the Devil against William Morse and his grandson.